MK Yisrael Eichler, chairman of the United Torah Judaism faction in the Knesset, harshly criticized the Trajtenberg Report on Tuesday, particularly its recommendations regarding the integration of haredim into the labor market and education in haredi schools. The Trajtenberg Committee stated in its report that the Education Ministry needs to ensure that all elementary schools teach core subjects such as mathematics, English, computers and at least one of the traditional sciences. 5. The most daring proposal: To require the Haredim to teach core subjects at their schools. The committee, one must stress, targeted the demand only at primary schools, grades 1 to 6. Even this committee wouldn’t dare suggest the same for the yeshivas that are the ultra-Orthodox equivalent of high schools for boys. 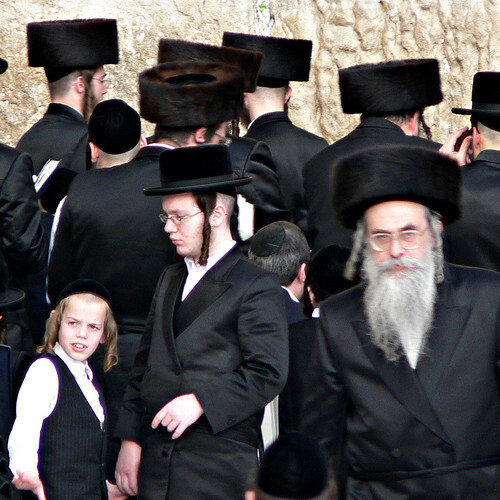 One of the major distortions in the distribution of the social burden in Israel is the complete absence of ultra-Orthodox men from the workforce. Due to the rapid growth of ultra-Orthodox society, this sector is the fastest growing in Israel. Therefore, any steps towards a more socially just society sought by the middle class must include measures to ensure the integration of ultra-Orthodox [men and/or women] into Israeli society as well as the economy. 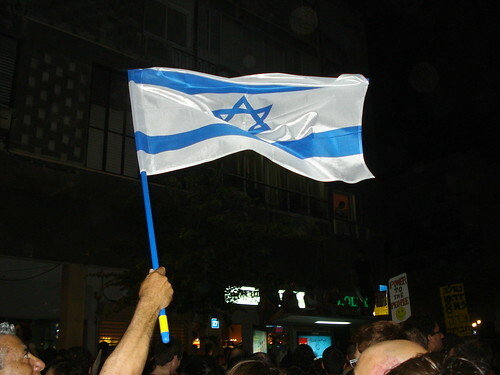 On September 5 and 6, hundreds of participants assembled at the Israel 2021 conference, sponsored by The Marker newspaper as a forum to discuss Israel’s future regarding a wide range of fields, including integration of the ultra-Orthodox population as one of the seven topics chosen to focus on. Meanwhile, MK Meir Sheetrit (Kadima) proposed a bill requiring Arab and haredi (ultra-Orthodox) schools to teach the Ministry of Education’s core curriculum in order to receive government funding. Sheetrit proposed a similar bill earlier this year, which was voted down. Sheetrit cited a poll by Hiddush: For Religious Freedom and Equality, which says that 80 percent of Israelis favor requiring haredi pupils to learn core subjects, and 64% say schools that do not teach these topics, which include math, English and civics, should not be funded by the government. Chief Rabbi Yonah Metzger took the IDF to task for dismissing the four cadets from officer candidate school and suggested that in the future, events where many religious male soldiers will be present should feature only male singers. If this is impossible, he added, the army should at least bar women from singing at events where a large portion of those present follow a strict interpretation of the prohibition, such as his own, which would require them to leave the event. In order to prevent friction in the future, Metzger suggests, the army must ensure that only men are allowed to sing in events held in the presence of many religious soldiers. Alternatively, he says, the army should make sure that in places where a large majority of the soldiers are religious, they will be allowed to avoid listening to women singing. If they are a minority, and the commander decides to invite a female singer or a band, the religious troops should be allowed to be late or leave the event early without interrupting it. Sir, – How could this have been a legitimate order? The attorney general should have demanded that the commander be reprimanded for unnecessary religious coercion. A Livni-led government without religious partners would really signal a new era in Israeli politics. It would also be a welcome change for women, who have the most to lose from Israel’s increasing religious fundamentalism. After all, religious parties have put pressure to keep women in the back of buses, out of certain army units, off the public stage, off party lists, in separate workplaces and, of course, bodily covered to the hilt. This is one of the greatest impediments to women’s well-being and human rights in Israel today. Moreover, this threat to women’s human rights represents a significant danger to the future of democracy and civil society in Israel in general. …There is also a possible connection between the storm surrounding the store and a wider dispute that is taking place a few dozen meters away. It involves the homes of the Batei Warsaw neighborhood. In this controversy, the anti-Zionist zealots are pitted against their arch-enemies, the Gerer Hassidim, who are part of the Haredi mainstream. There is a thriving paparazzi industry in the Haredi world today, starring magazines and websites full of photos of esteemed religious figures at family and other events, and fueled by large sums of money. The ascendance of the photographic papers and magazines is directly connected to the growing tendency in the Haredi world to become more permissive regarding publication of images and information about rabbis’ lives. For ultra-Orthodox Jews who shun secular newspapers, radio and the Internet, the best way to hear the news has long been by literally reading the writing on the wall. The insular, strictly religious community still relies on black and white posters pasted up on walls in their neighborhoods to hear the latest rulings from important rabbis on modest dress, upcoming protests and the correct way to vote in elections. A new initiative launched by an ultra-Orthodox radio station offers listeners “strictly kosher” traffic reports, presented exclusively by men. According to Kol Barama officials, the station’s traffic reports will focus on the ultra-Orthodox communities of Elad, Bnei Brak and Beitar Illit, rather than on places like Herzliya, Haifa or Tel Aviv. Senior members of the Israeli delegation to the United Nations General Assembly held a special prayer Saturday night on the grave of Rabbi Menachem Mendel Schneerson, the Lubavitcher Rebbe, at the Montefiore Cemetery in Queens, New York. On Friday, Prime Minister Benjamin Netanyahu mentioned the Rebbe as he presented the Israeli stand against the Palestinian statehood bid at the UN General Assembly. Benjamin Netanyahu promised to tell the truth at the United Nations, and the truth was indeed revealed. 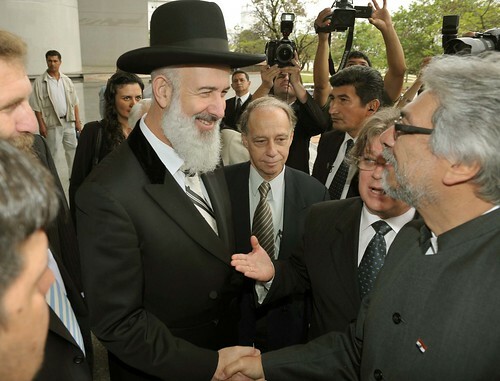 The prime minister chose in this speech to quote reverently from his meetings with one person only: the Lubavitcher Rebbe, who viewed himself as the messiah. MK Nitzan Horowitz (Meretz) accused Interior Minister Eli Yishai of “fooling everyone” with his daylight savings time reform, as Israel turned its clocks back one hour late Saturday night. The El Al rabbi this week issued a leaflet with strict instructions to Hasidic pilgrims flying to Ukraine for the High Holidays, following passengers’ inappropriate behavior on the airline’s planes in recent years – including smoking, refusing to put on their safety belts and destroying equipment. Breslov Hassidim on their way to Uman caused damage at Ben Gurion airport, according to a report on Israel Radio Tuesday. They reportedly smoked in non-smoking areas, littered with their food and drink, and five of them were allegedly caught with forged passports. Ukrainian authorities are delaying the repatriation of the body of 19-year-old Eliyah Eli, who drowned last week in Uman, right before the Tashlich prayer. The Israeli who drowned in Uman, Ukraine, on Rosh Hashana is Eli Eliah, a 19-year-old yeshiva student from Netanya, authorities announced on Sunday. Eliah drowned last Thursday while taking part in a tashlich ceremony, a traditional Rosh Hashana prayer recited near a body of water, in the river that runs through the town where Rabbi Nachman of Breslov is buried. Police have detained about 100 activists of Ukraine’s nationalist party on Sunday who protested the annual pilgrimage of Hasidic Jews in southern Ukraine. Years ago, I visited Uman for a few hours on a trip up from Odessa where I was staying for a few weeks. I had long been intrigued about the location to which so many Breslover Hassidim make the journey each year on Rosh Hashana. What we are witnessing is a deliberate attempt to use Judaism not only as a religious dogma, but as a powerful and effective political tool utilized in order to maximize the agendas of religious Jews and the ultra-right wing here in the State of Israel. …Members of the Orthodox establishment maintains a strict interpretation of Jewish law as found in the Torah and Talmud, which they claim doesn’t evolve over time. The Shin Bet security service is urging the Education Ministry to immediately halt funding to the Od Yosef Hai Yeshiva in the settlement of Yitzhar, near Nablus, saying it has received intelligence information that senior rabbis in the yeshiva are encouraging their students to attack Arabs. Kiryat Arba’s Chief Rabbi Dov Lior on Sunday called for collective punishment for the “rioters” that he said killed Hillel Palmer, 25, and his one-year-old son Yonatan in the West Bank on Friday. “We have murderous rioters surrounding us, according to the Torah, there is room for collective punishment and the IDF must carry out the punishment against the rioters. There are no innocents in a war,” Rabbi Dov Lior said. Yehuda Etzion, a resident of the settlement Ofra, has a draft master plan for Jerusalem, which he is preparing with a team of Ofra residents and an architectural firm. The plan centers around the Third Temple: where a ring road will pass, where pilgrims will park, where observation points will be located. The Arab neighborhoods in East Jerusalem will be demolished. They are not part of the plan. The Ministry of Public Diplomacy and Diaspora Affairs has decided to take advantage of the new technology in order to bring postcards back into fashion in a new way, aiming to connect between Jews all around the world. In an unprecedented endeavor, a few Muslim believers are crossing the Holy Land’s volatile boundaries of culture, faith and politics to bring Islam to Israel’s Jews — hoping, improbably, that some will be willing to renounce their religion for a new one. The bearded men approach Jews in and around the Old City of Jerusalem and try, in polite and fluent Hebrew, to convert them. Mamilla: A case of tolerance vs. dignity? The controversy surrounding the construction of the Museum of Tolerance in Jerusalem has not abated. As building continues on the Mamilla site that is known to have previously been a large Muslim cemetery, the debate surrounding it has developed into a clash between human dignity (respect for the deceased) and the urban development interest of modern society. 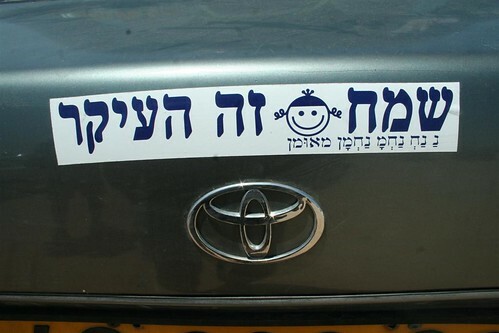 A new initiative designed to raise the number of people signing up for organ donation cards has been formally approved by Tzohar, the religious- Zionist rabbinical group. In a meeting last week at Shaare Zedek Medical Center in Jerusalem, 40 rabbis from the organization voted to approve a new organ donor card and framework which seeks to reduce any concerns potential religious organ donors may have that their organs will be harvested in a manner in keeping with Jewish law. A 14-year-old boy who complained of a chronic rash on his left arm and hand has been diagnosed with a “tefillin rash” – caused by the chemical potassium dichromate, which is used to process the black straps of the phylacteries. Known as the Day of Prayer for the Peace of Jerusalem, the annual event is the brainchild of Rev. Robert Stearns of New York, who launched it in 2002. Israeli authorities have granted a residency permit to Jerusalem’s Anglican bishop, Palestinian Suheil Dawani, after months of legal wrangling, the clergyman said in a message to his supporters on Tuesday. Dawani was elected Bishop of the Diocese of Jerusalem in 2007, and as a non-Israeli is required by Israeli authorities to obtain a temporary residence permit. This was granted in 2008 and 2009, but he was turned down in 2010. The Petah Tikva District Court has decided Monday to allow Yigal Amir, who is serving a life sentence for the assassination of Prime Minister Yitzhak Rabin, to meet with another prisoner three times a week for prayer. Aside from these meetings, Amir is to remain in solitary confinement at least until next January. The knowledge that there was a group of pedophiles among them was a tremendous blow to local residents. 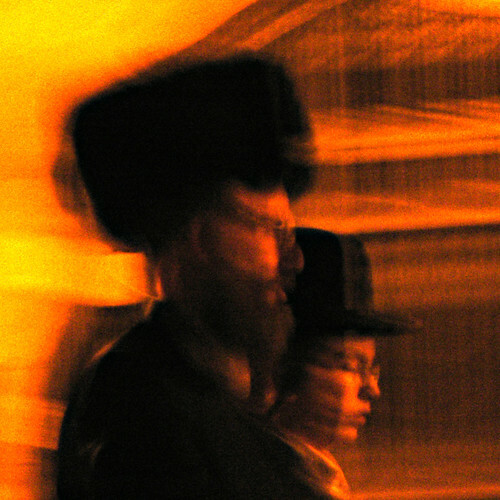 In the small neighborhood, which is known for its pluralism and openness, Yiddish-speaking Haredim, American skullcap wearers, Bratslav Hasidim and even secular people live in coexistence and with mutual respect. They all testify that, before the incident, this was an open, trusting neighborhood. Yad Sarah called on the heads of synagogues to make their places of worship accessible to physically disabled people who have difficulty reaching seats so they can participate in prayers. Boys Town Jerusalem combines Torah and technology for synergistic education. Its latest project is 50 square meters of solar panels. 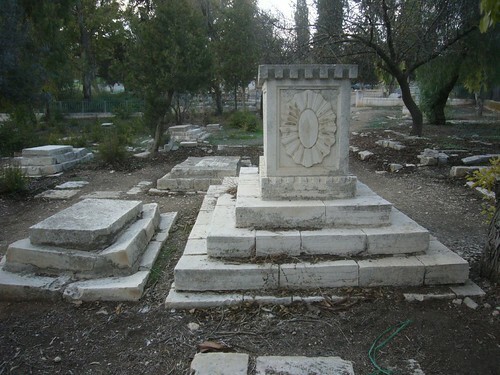 The Bulgarian city of Silistra will turn this week into one of the centers of Israel’s economy with the arrival of a large group of tycoons and opinion shapers from the Jewish state. The guests include businessmen Ilan Ben-Dov, Jacky Ben-Zaken and Rami Levy, as well as American Jewish billionaire Jay Schottenstein. They will be accompanying Rabbi Yoshiyahu Pinto, 38, of Ashdod, who is known to have a great amount of influence on Israeli celebrities and has even been referred to as “the seculars’ Rebbe”. According to the indictment, the defendant, who cannot be named, molested the minors as they immersed themselves in a Bnei Brak mikva [ritual bath] and as they showered beforehand. The Southern District Attorney’s Office announced Tuesday that an indictment has been served in the Beersheba District Court against four men accused of abducting and extorting Rabbi Nir Ben Artzi.